8 Great Shoppers Drug Mart Christmas Gift Ideas for Everyone on Your List! It’s that time of year again — the Christmas sets are sitting pretty on the shelves of my local Shoppers Drug Mart, and I could spend hours strolling through the aisles to admire their glittery packaging and swatch the holiday red lipsticks we all know I don’t truly need. Believe it or not, there’s a whole world outside the Beauty Boutique, and Shoppers Drug Mart is a fantastic place to get the perfect present for everyone on your list, whether you’re looking for a few knick-knacks to fill up a stocking or for something special to wrap up and put under the tree. I’ve rounded up 8 gifts I’ll be buying from Shoppers Drug Mart this year to #OwnTheHolidays…and it’s not all makeup! The best part? If money is tight this year, you can spend your Optimum points (soon-to-be PC Optimum). The Shoppers Drug Mart snack aisles are always full of tasty treats, but they really up their game when the festive season rolls around. From the classic Lindt chocolates* to boxes filled with President’s Choice Maple Fudge*, you’ll find everything you need to throw a successful holiday soirée or to bulk up your loved ones’ stockings come Christmas morning. 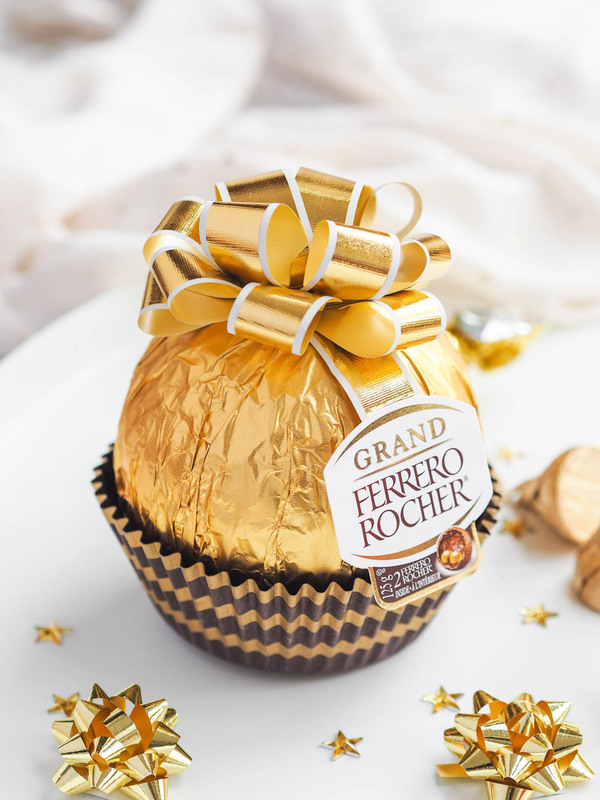 I highly recommend the President’s Choice Italian Dessert Truffle Trio* for casually stuffing your face while watching Netflix, but when it comes to gifts you can’t go wrong with the Grand Ferrero Rocher*, a giant Ferrero Rocher filled with small Ferrero Rochers. Yum! Shoppers Drug Mart is not the first place that pops into my mind when I’m looking for a new SD card for my camera or a new pair of headphones, but they stock a huge selection of electronics, including games and consoles, camera equipment, and speakers for all your Christmas party needs. 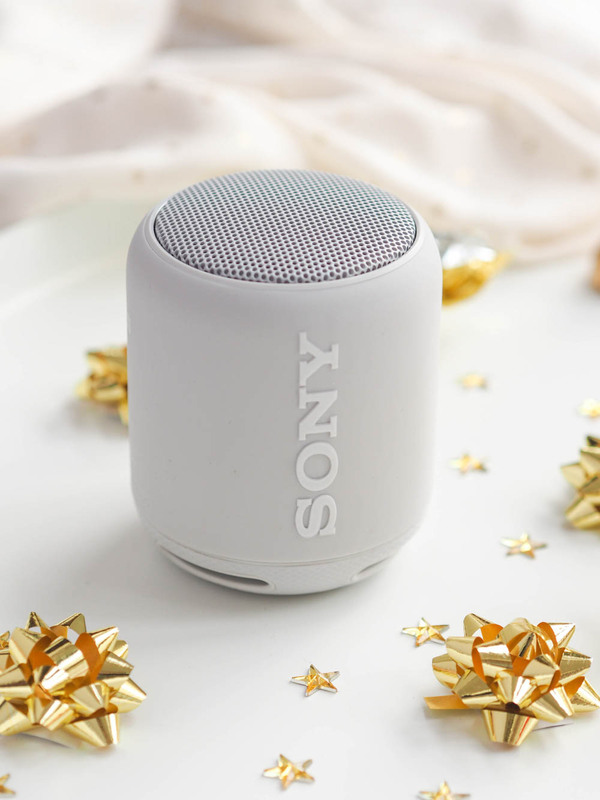 I was gifted the Sony SRS-XB10 Wireless Speaker*, and it’s the perfect Bluetooth speaker to blast Christmas music from. It’s sleek, small, and loud enough to be heard throughout my apartment. 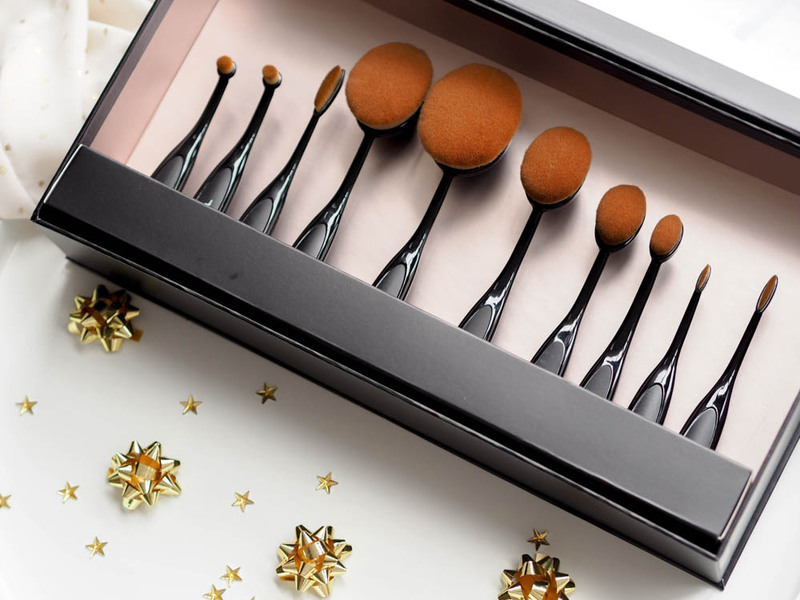 I love makeup and skincare all year long, but I definitely have a soft spot for Christmas sets and glittery packaging. I usually buy several small sets and divide them up to make little care packages for my friends, but this year I will be giving out the adorable Quo Holiday Ornaments*. The boxes can be hung in the Christmas tree and they’re filled with makeup sponges and lip glosses. How perfect? 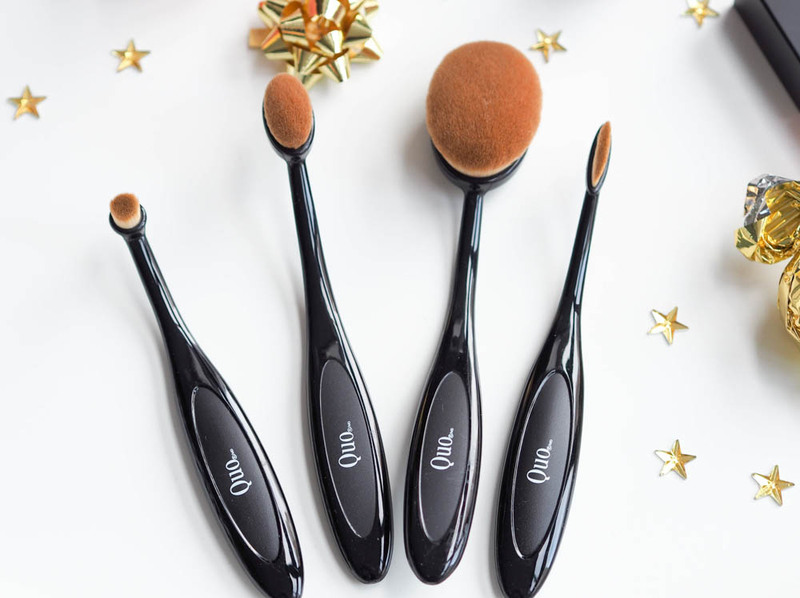 If you’re looking to introduce someone to good quality makeup, the Quo Artisan Brush Set* is pricey, but wonderfully soft. It comes in a pretty box and will make a wonderful Christmas present if you can get your hands on it before it disappears! Turn your memories into holiday ornaments*, mugs, puzzles or phone cases. You can personalize each item with a photo and a message to make something truly special and unique. The ornament pictured above has my face printed on it! Visit Shoppers Photo to make your own. 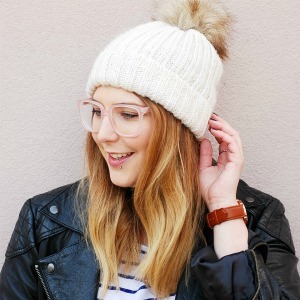 A set of hat and mittens from Joe Fresh is a wonderfully cosy gift this time of year when all we want to do is wrap up warm and sip on hot drinks. I saw a pair of pompom gloves at Shoppers Drug Mart a few months ago, and I think they would make the perfect present — for myself. There’s nothing more relaxing than cosy night in with a scented candle. 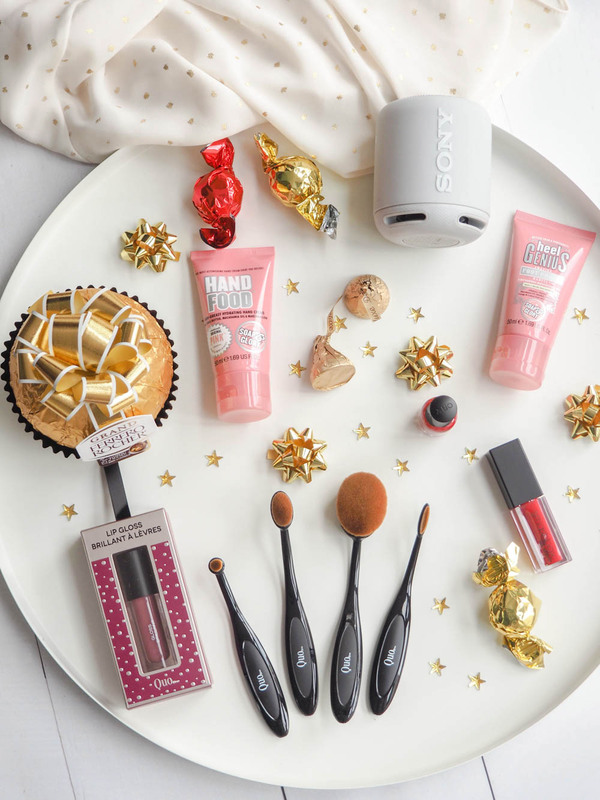 Pair it with a fashion magazine, the Soap & Glory Wait on Hand & Foot mini gift set*, and a few Quo by Orly polishes from their Holiday set* for the perfect spa-themed stocking. What do you get the person who has everything? Or the person you really don’t know that well but somehow still have to buy a gift for? Yes, it’s a little lazy, but no one has ever been disappointed to be given an excuse to treat themselves. My picks are always a Shoppers Drug Mart gift card (for the makeup lovers) or a Starbucks gift card (for literally everyone). Surprise someone you love with a new fragrance! Picking a new scent is tricky and I rarely treat myself to new perfume, but I love getting a fresh bottle as a gift, especially if it’s a friend’s favourite. The wonderful Shoppers Drug Mart team must have been stalking me on Instagram for a while because they sent me a bottle of Chloé*, my all-time favourite winter scent. It’s a sophisticated, classic fragrance that suits just about everyone, so if you’re in doubt, give it a try! 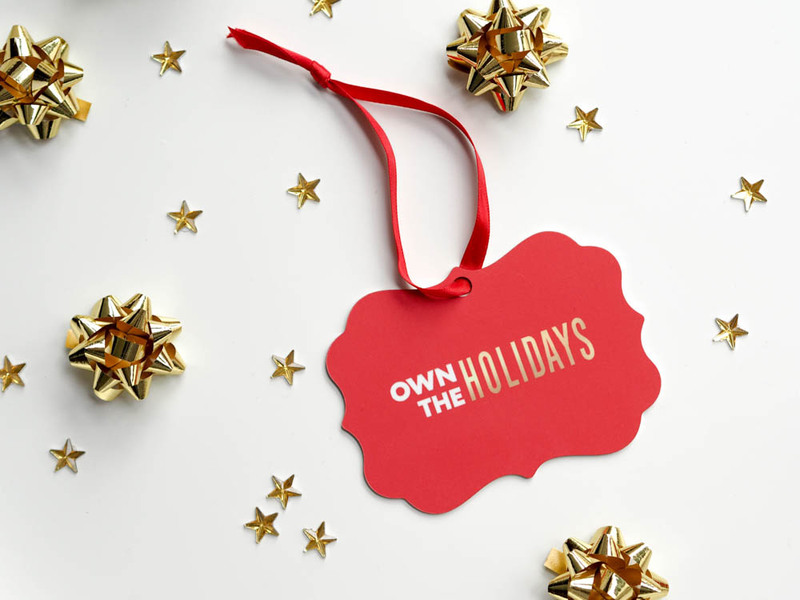 In the words of Shoppers Drug Mart…’Tis the season to be a boss and own the holidays!